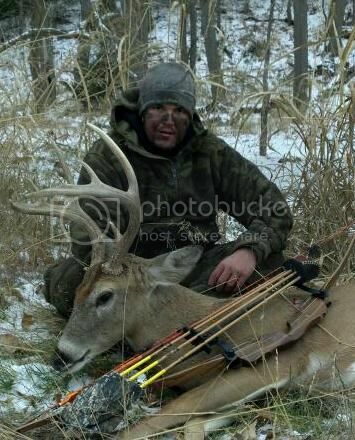 Here is the deer I got the 23rd of November. Grunted him in to 12 yards then put a sasquatched tipped gold tip through the lungs. Nice shooting! That had to exciting grunting him in close. Nice buck! Congrats! I like how tall he is. Congratulations. Congrats, he is a stud! GREATJOB!! way to close the deal!! I miss my Hill Country Wildcat.